The bullet journal craze has taken the world by storm, and most of us know someone who has started one in recent months (or years). For some, the color-coded bullet lists and charts help sort through their to-do list in an easy way. If you’re going to invest time in a bullet journal, you will want to get the best bang for your buck. Below you’ll find a list of the best pens for bullet journal writing. If you haven’t heard of the bullet journal craze, don’t worry. Because they are a fairly new trend, the history behind them is short. Ryder Carroll, a designer based in Brooklyn, is responsible for creating the Bullet Journal method. Carrol has had ADHD his entire life and often had trouble focusing. Once he designed his first bullet journal, it helped him sort through his thoughts. It has also proven to have a positive impact on many users’ mental health. Each page is designed to fit your preferred organizational style and can include your favorite colors. Your bullet journal can be whatever you what it to be. That being said, bullet journals can get pricey. If you’re using your bullet journal to track your savings or other finances, it seems a little hypocritical to spend a ton of cash on journals and pens. Here are a few of the best pens for bullet journal writing on Amazon (and a few budget journals too). If you’re really strapped for cash, you can find decent bullet journal pens on Amazon for less than $10. Here are a few to consider. This pack of pens comes with 18 colors and is truly one of the best pen packs for the money. Some reviews do comment that some of the pens don’t last as long, but if you’re trying bullet journaling for the first time, these are a good price! On Amazon, you can grab a 24-count set of bullet journal pens for $10.99. For many, this is the perfect number of pens to get started with. Additionally, they have decent user reviews! For a few dollars more, you can get a large pack of 36 pens. According to Amazon reviews, the pens work really well for calendars, note-taking, and (of course) bullet journals. For finer writing and coloring jobs, these pens are fantastic. In addition to being good quality and a good price, you also get a case for your pens. Of the pens on this list, this set gives you the most bang for your buck. You can get 60 fine-tipped journaling pens for just $15.99. You can use bullet journals to track literally anything. Whether you want to track some sort of progress, or you want to track your food or water intake, a bullet journal can be a way to organize your life. They can even help to sort your finances. Here are a few ways to get your money right with a bullet journal. Bullet journal budget tracking – Jot down your monthly budget in your bullet journal. You can reference this throughout the month to stay on track. Track your savings – Set a savings goal and track every dollar you put in in your bullet journal. You can visualize your savings and, for some, it is a great source of motivation. Pay off your debt – Snowball your debt and track it in your bullet journal. List your debts smallest to largest and then update it as you make payments and pay off debt. 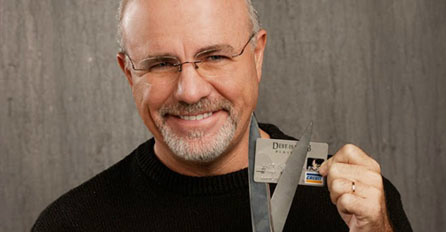 This is a great way to stay motivated on your debt freedom journey! Readers, do you bullet journal? How has it helped you organize your life? When most people refer to investing, things that usually come to mind are bonds, stocks and real estate. An ordinary savings account is not something many people associate with investing. These types of investment opportunities can offer investors great long-term returns on their investments. However, they can all come with disadvantages and risks. Because of that, it is not the ideal way to save or invest hard-earned money for a lot of people. On the other side of the investing spectrum are simple savings accounts. They aren’t glamorous or going to offer high yields for investors. They do have their own benefits to be considered, however. Below are some of the top reasons you should consider opening up a savings account with a reputable bank such as the one found at www.gobankingrates.com. When you invest your hard-earned money into something, you want to rest assured that if something goes wrong with the institution, you aren’t going to lose all of your money. When it comes to investing in savings accounts, your money will be FDIC-insured for up to $250,000. If the bank you have an account with goes out of business, your money is going to be safe. Depending on the situation, you will get paid the amount directly or a new account will be opened up for you at a new bank for the same amount. Other types of investments cannot offer this same protection. If you own stock in a company that ends up going out of business, you lose your money. Simply put, you will not have any risk of losing your money when you choose to invest with savings accounts. By their true nature, savings accounts have practically zero risks. You will never end up with less money than you put in. In other types of investment opportunities, you could end up losing all the money you put in and the interest you earned. With this type of account, your balance will never go down. It can only go up unless you decide to take out some money. If you cannot afford to lose your money, savings accounts are the best place to put it because they are safe from market volatility. With some investment opportunities, once you hand over your money, there is no getting it back any time soon. When you own savings accounts, you have access to the account whenever you need. If you have an emergency and need to get money from your account, you can do so right at your bank’s ATM. Other types of investments that promote being “liquid” can sometimes take days or weeks to get funds out of. On the other side of the spectrum, investing in something such as real estate could take months or many years to liquidate. A savings account makes for a great emergency fund that can earn you a little interest while you are not using the funds. These are just a few of the benefits of opening up a savings account when you are looking to invest your money. If you are new to investing and want to keep your risks low, this is the best way to get started without worrying about losing your money. Needless to say, shifting to a new flat is a stressful experience. After spending thousands on household essentials such as tables and couches, the most daunting task ahead of you is thinking how you will make the new place feel and look homely. Contrary to what you might think, decorating your new flat doesn’t need to be costly. Here are 11 awesome ways to cheaply decorate your new flat. For even more savings, consider purchasing a gift card for a home decor store like HomeGoods in December. Many stores offer discounted or even free gift cards during the holiday season! Permanent wallpaper can be intimidating since removing it from walls is difficult. If you are a homeowner or renter who is into interior design, removable wallpaper offers a suitable solution for adding a splash of personal style and color to your house. Removable wallpaper easily sticks to walls, and is also easy to remove when moving out. With continued use, lampshades tend to look dated. As a result, they need to be regularly replaced with new and clean ones. To save money, you should maintain your original lamp bases and only buy new shades that add a pop of graphic pattern and color to your space. The same way that removable wallpaper can be used to cover walls, tile stickers are designed to cover grungy countertops by adding colorful patterns. These stickers are held onto place by an adhesive, but nonetheless, they are easy to remove. Countertop and tile stickers are incredibly affordable. This is one of the easiest hacks for those who want to decorate their houses. Plants will automatically add life to your room. Even so, they need to be properly maintained so that they keep looking nice. To ensure that the plant adds color to your room, pair it with an eye-catching bowl or pot. To choose pots and bowls for your plants, visit farmers’ markets in your locality to sample the flora options that are on offer.